A lot of people are now upgrading from Windows 7 or 8 to Windows 10 due to the free upgrade that Microsoft are offering. 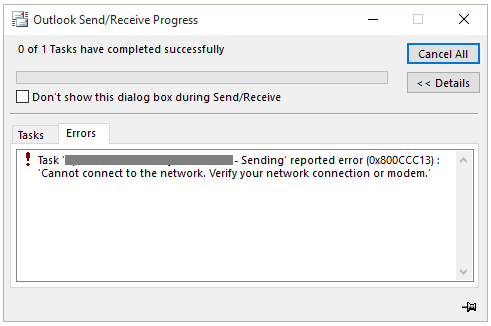 I have now completed this upgrade over 20 times on various PCs and laptops and I’ve found that 90% of the time everything works as expected, however I have seen a handful of issues crop up and here is one you may come across if you use Microsoft Outlook. This error only seems to effect sending emails, incoming email still works without issue. The problem is caused by file corruptions and this is very easy to fix by using the system file checker tool. The system file checker tool will scan your system files and repair any corruptions it finds automatically. 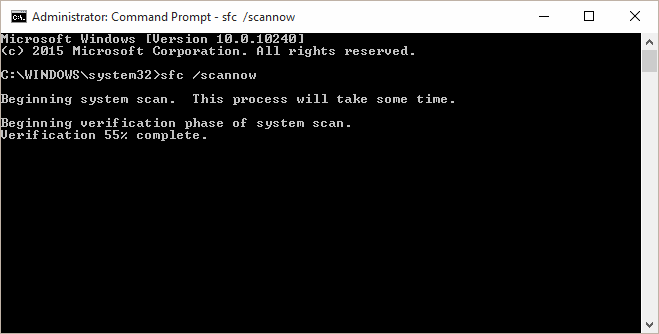 Restart the computer after the scan has completed and Outlook should now be able to send email again.